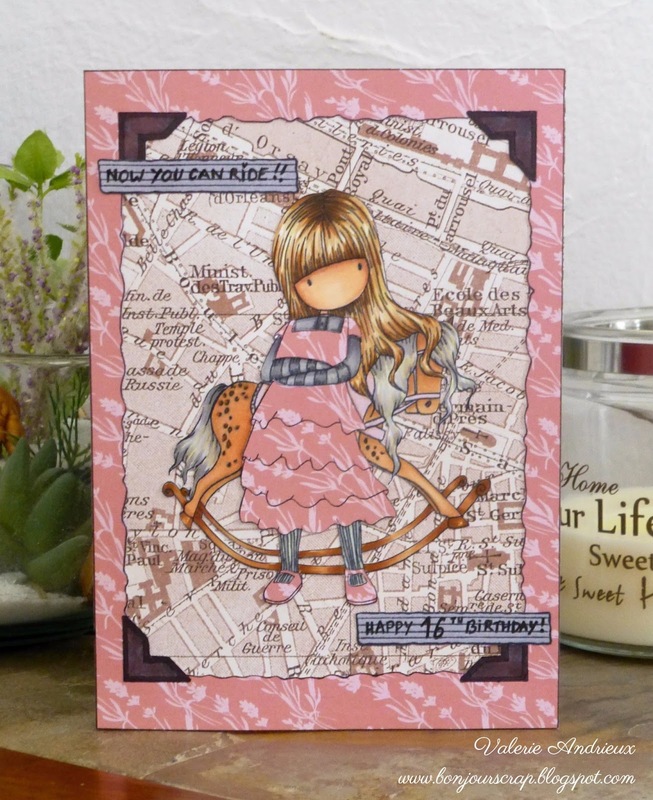 I choose a Gorjuss girl stamp (The Gateway, DoCrafts), she looks so cute and fierce at the same time ! For the cuteness, I also choose the Meet me in Paris paper stack by DCWV, it's a perfect match with the powdered pink and the vintage map of Paris. Simon Monday challenge : theme is "it's a frame up"
Thank you for your time. Have a wonderful day and see you soon ! Thank you Barbara for your kind comment !